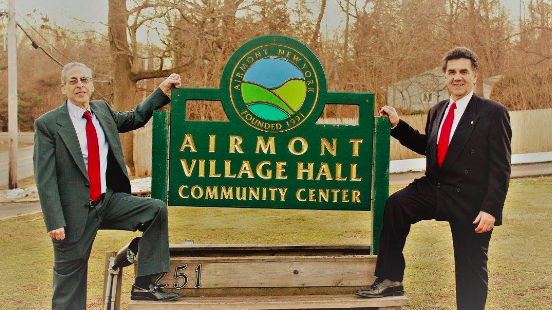 It has been the honor of our lives to serve you, the people of Airmont, since 1991. We’re very proud that our efforts have paid off, beginning with our work in forming the village and continuing with acquiring our Village Hall on Cherry Lane. We enacted a 20 year road paving program and paved many of the roads you drive on every day. Our other accomplishments include: Securing grant money for a community room in Village Hall, a generator to keep our village running during power outages, a warming center for your convenience, exterior lighting installed outside of Village Hall, cameras installed inside Village Hall to ensure the safety of our village staff and residents. Following in the footsteps of our beloved former Mayor of Airmont, we have ensured unity in our village amongst our residents and we sincerely hope that our current board will continue on that path – since united we stand, but divided we fail. We were extremely privileged to have Robert Reda, Esq. join us on our ticket this year. He brought great ideas to the table and is a great asset to our community. We urge you all to like and share our Facebook pagewww.facebook.com/airmontfuture as we will continue to be vocal about all that is going on in our Village and Town. Thank you again to the hundreds of people who came out to vote for us, we were honored to have your support.